We bring you Milling Machine with application specific designs like Square or Hex of Non-Ferrous Metals (Aluminium, Copper, Brass Parts). Sourced from renowned vendors, the high performance machine is low in maintenance, power consumption and allows pollution free operation. Backed by the team of experienced professionals, we have been able to manufacture and supply an extensive range of Horizontal Milling Machine. 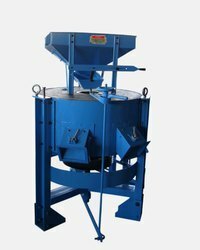 This milling machine is designed and developed by our experienced professionals using quality tested raw material with the help of cutting-edge technology. Surface of Table : 24" X 6"
Size of Tee Slots: 3/8"
By utilizing skills of our dexterous workforce, we are manufacturing, trading and supplying a comprehensive assortment of Semi Geared Horizontal Milling Machine. These high quality horizontal and vertical milling machines to our clients which ensures hassle free work performance at its user end. 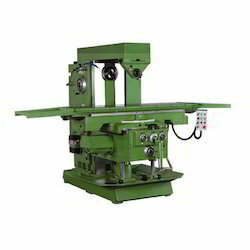 These horizontal & vertical and universal milling machines are widely finds its valuable application in various industrial sectors. H & H Engineering Co.